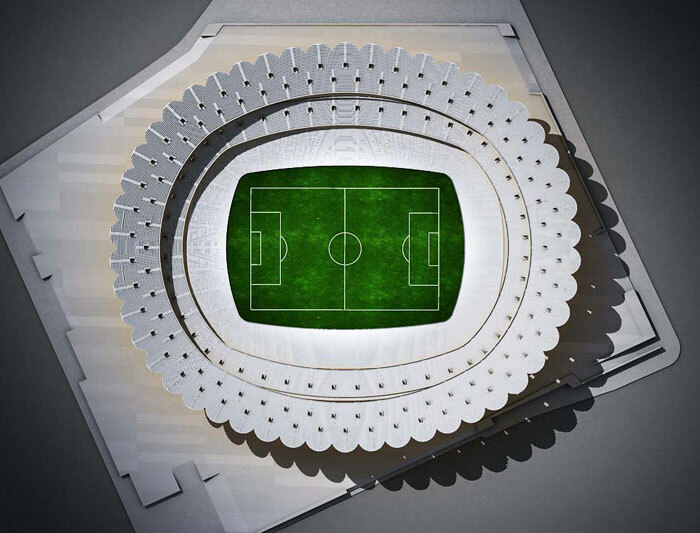 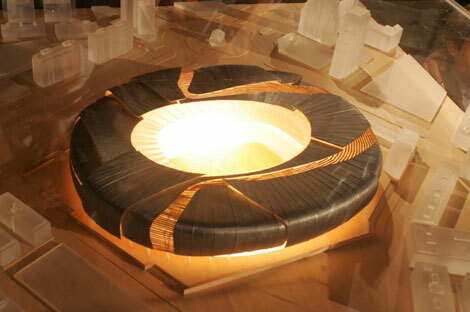 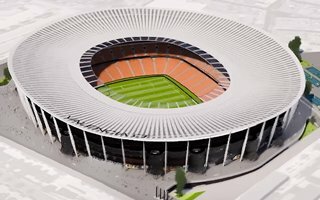 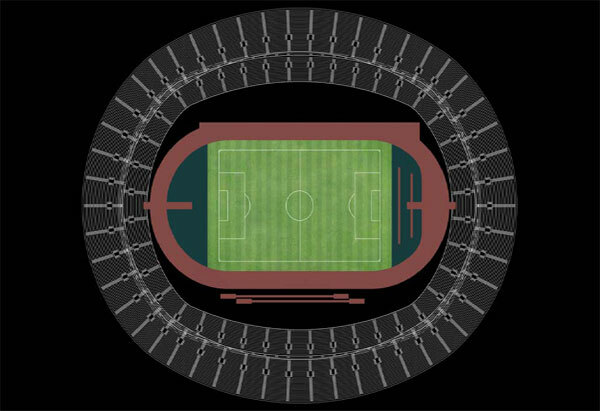 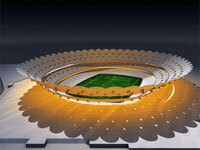 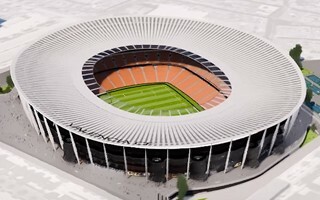 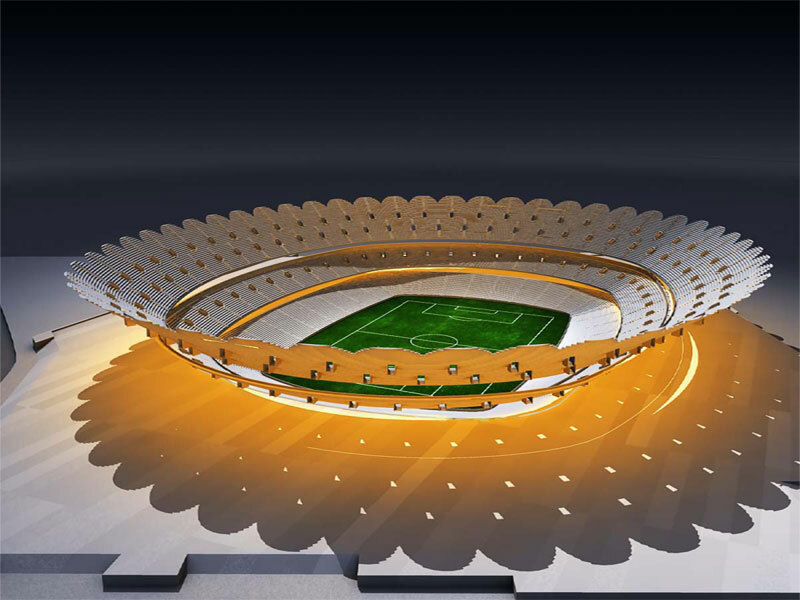 Iinitial concept for the new stadium along Avenida de les Corts Valencianes was presented in 2006 by renowned architect Mark Fenwick. 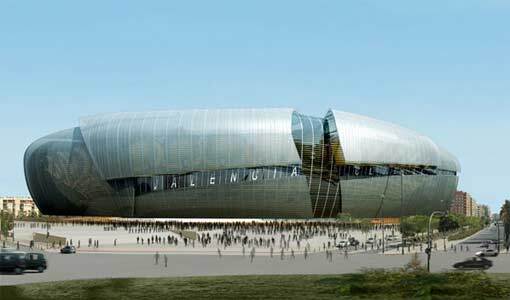 Spain's most impressive stadium plan at that time comprised amazing facades cut with glass surfaces, symbolically resembling the city's division to districts. 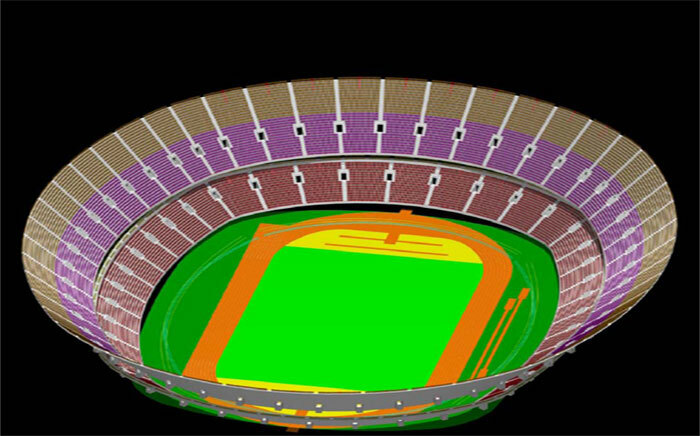 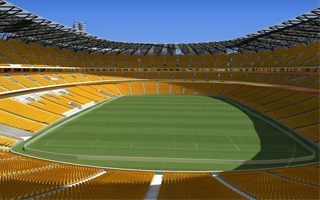 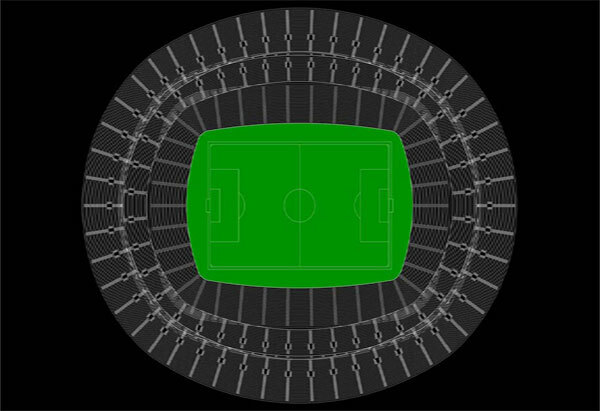 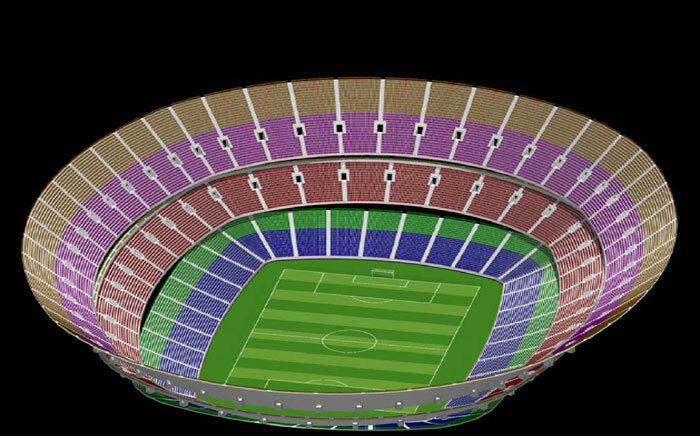 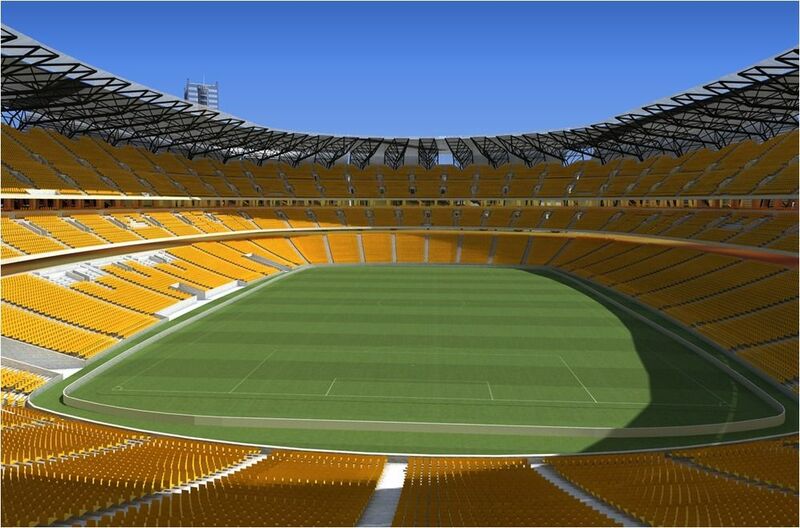 Inside three tiers of seating were planned, offering 73,200 seats in total. 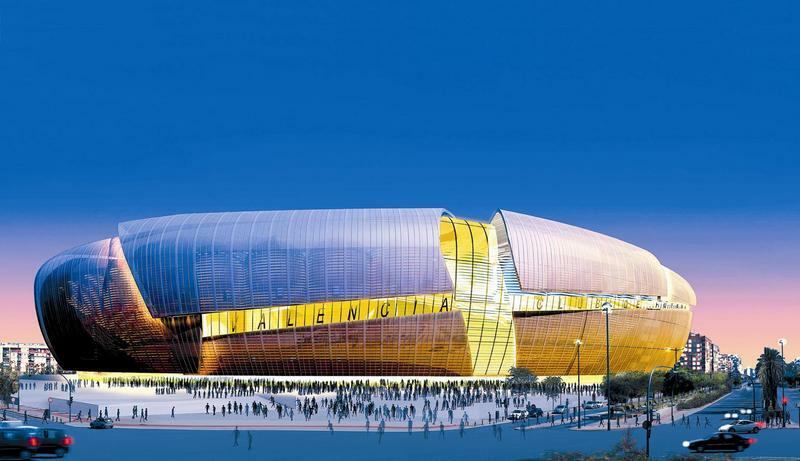 The project was priced at €344 million and saw groundbreaking in the summer of 2007. 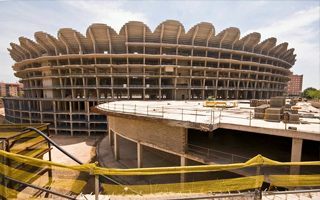 Initially work was expected to end in May 2009, but by March only the main concrete structure was ready and proved to be the last phase for years. 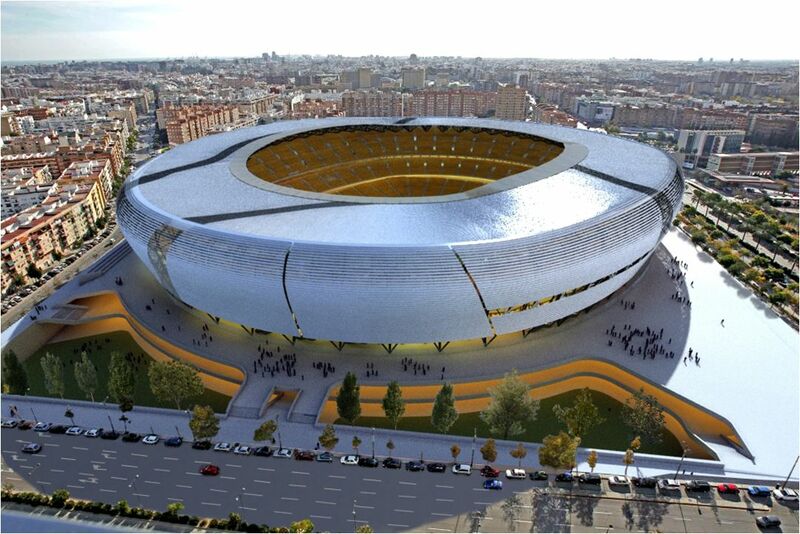 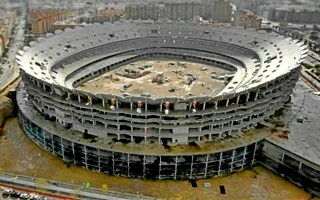 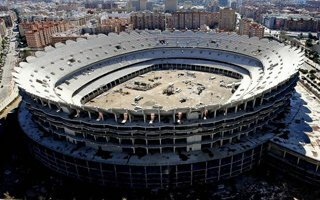 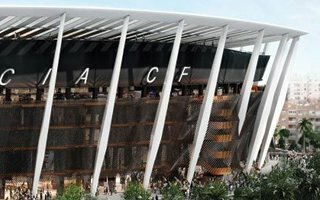 Valencia CF suffered from heavy debt and couldn't afford the remaining works. 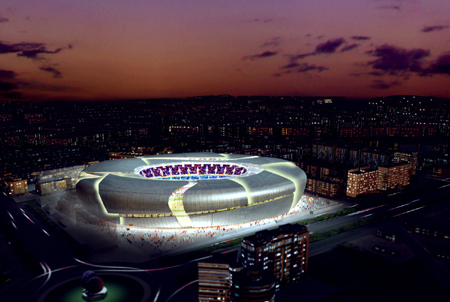 Despite many attempts to restart the project, no progress was done until late 2013. 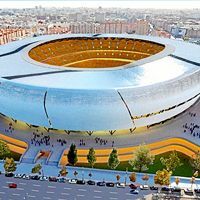 That's when the project was updated, adjusted to difficult financial conditions. 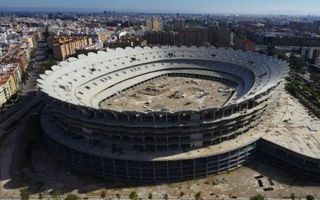 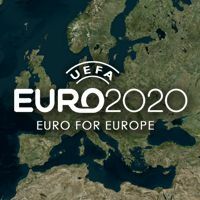 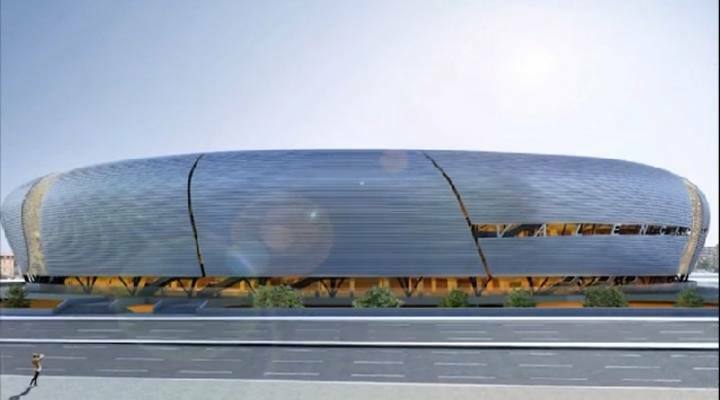 Overall cost was cut to just €200 million through simplified facades, roof covering 75% of fans instead of 100% and capacity downscaled to 61,500.